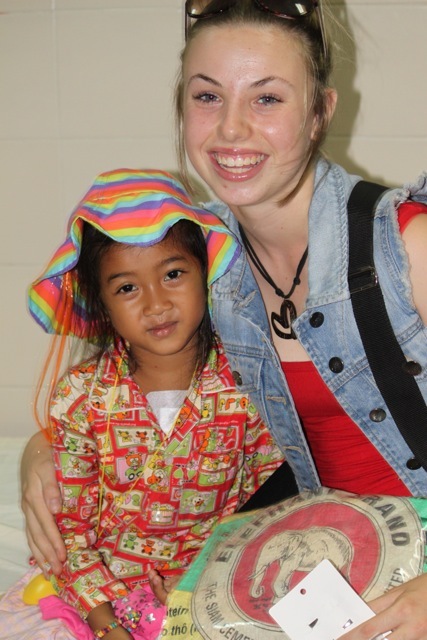 Last week, Katia a 14-year-old Sydney girl became the youngest OHI Cambodia sponsor for our program. She raised enough money to sponsor an open heart surgery through her musical talents busking around Sydney. Katia decided she wanted use her musical skills for a greater cause by raising money for a charity. 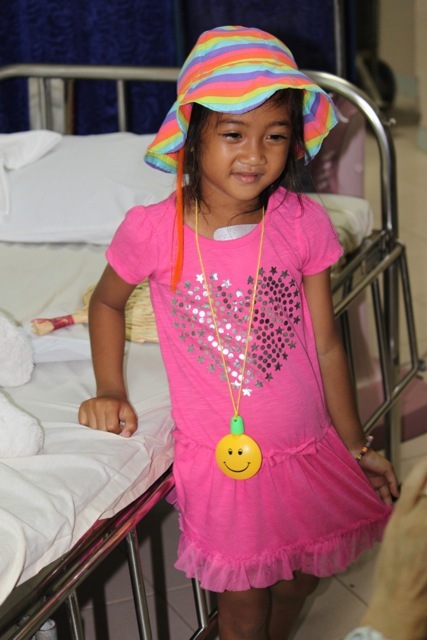 Katia chose Open Heart International (OHI) as her charity of her choice due to her Mum, Steph being the physiotherapist on other numerous OHI projects. 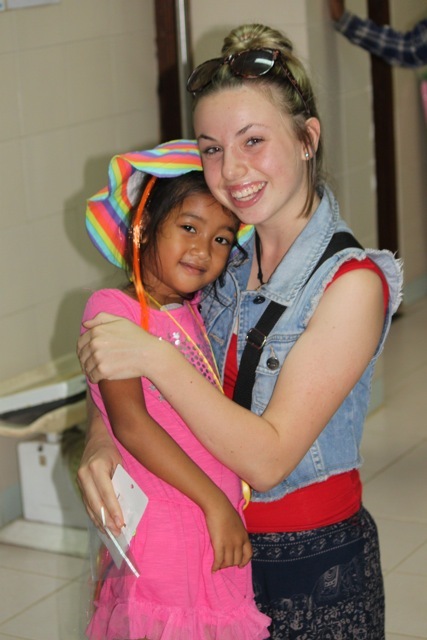 Steph was planning on coming back to Cambodia in 2014 and Katia saw this as a perfect opportunity to get involved. Katia was invited to join the trip as a sponsor if she could raise sponsorship funds of $3,500. Katia became highly motivated and learnt a bunch of new songs as well as navigating all the council rules and regulations regarding busking in Sydney. Steph and Mark (Katia’s parents) also jumped on board driving Katia all over Sydney for up to 12 months allowing her to busk at various places and being moral support when nerves took place. Her parents were touched by the amount of support they received as many friends, family and people in their local community donated to Katia’s effort. Last Thursday morning Katia and her mum Stephanie, through many tears of joy, said goodbye to their new found Cambodian friends as the seven year old little girl and her mum were allowed to go home. A simply outstanding feat for the program as she had major open-heart surgery only three days prior! The gratitude and happiness from everyone involved was unbelievable. There was not a dry eye in the hospital! What a great effort for her first self –initiated charity campaign! The future looks very bright if young Australians are as motivated and giving as this 14-year-old girl! Well done to Katia and her family! Thanks to them we will hopefully see more young people involved in OHI Cambodia in the future.